Born and raised in Long Beach, California, Dan came to Kansas City in 1989. Soon after, Dan began attending Heartland Community Church. He joined Heartland's staff in 2000, transitioning into he role of Senior Pastor in 2004. Dan and his wife, Elise, have three daughters - Mia, Brianna, and Hadley - one of whom is adopted. The Deeble dogs, Keiffer and Bower, round out the family. When he has free time, Dan enjoys playing sports (he plays an ugly round of golf, but a mean game of wiffle ball). DR. GREGORY E. EALEY, TH.M., DMIN. Gregory is a native of Austin, Texas. He is married to Selena Ealey, and they have two children, Elias and Emmanuel. He attended Texas State University where he received a Bachelor of Business Administration degree with a focus in Accounting. He received a Master of Theology degree with a focus on Pastoral Leadership from Dallas Theological Seminary. He has also earned his Doctorate of Ministry from Western Baptist Bible College. Gregory has worked with The Urban Alternative, a ministry of Dr. Tony Evans. He was a chaplain for Marketplace Chaplains, USA, serving as an Area Team Leader. He served as the ninth pastor of Paseo Baptist Church in Kansas City, MO for eight years. He now serves as the Campus Pastor for Colonial Presbyterian Church, at the Wornall Campus in Kansas City, Mo. 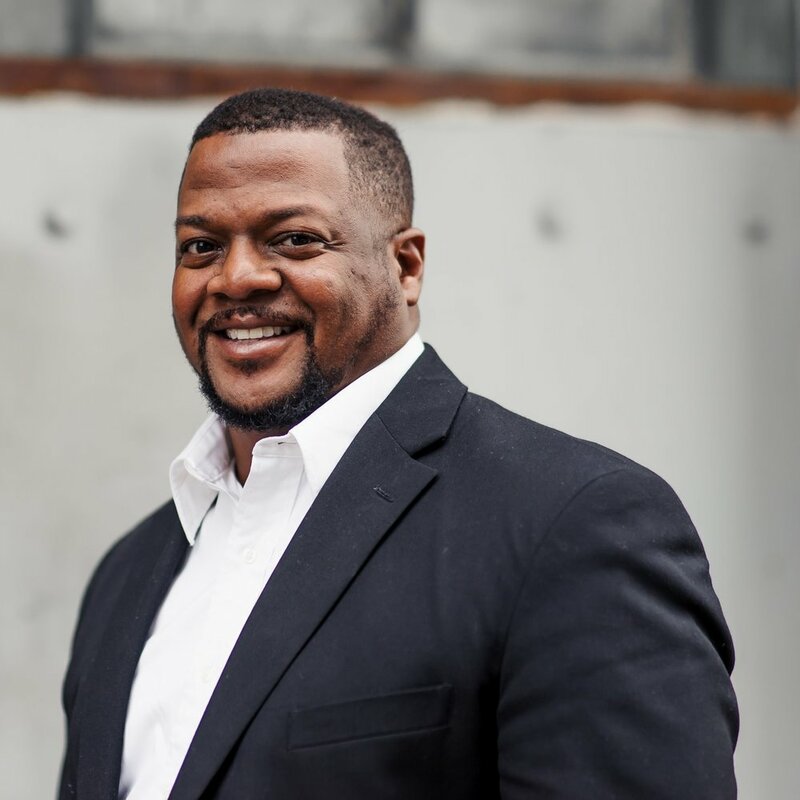 He is Executive Director for Elevate KC, a city-wide collaboration seeking to bring people together around the issues of education, human trafficking, fatherlessness and racial healing. Greg and Selena have also had the privilege of serving as foster parents for two children who have now been reunified with their family. Above all, Gregory just wants to be known as a servant of God who lives to bring God glory. 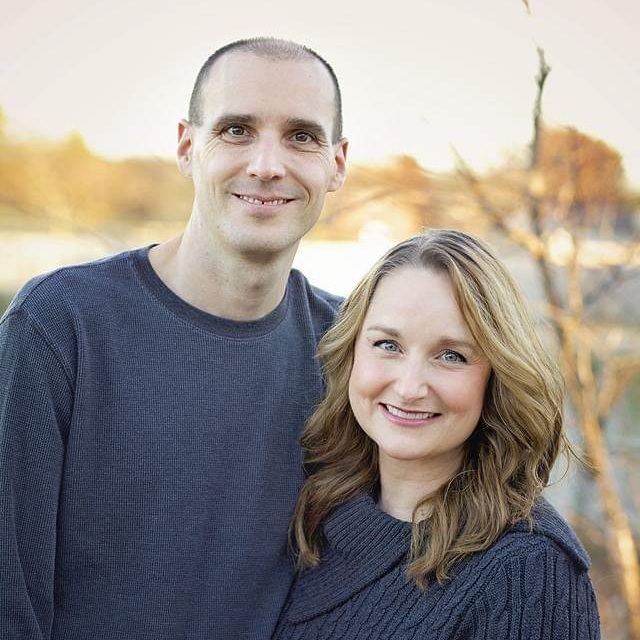 Randy Frazee is currently serving as Lead Pastor at Westside Family Church in Lenexa, Kansas. He is also an Bible Engagement Ambassador for Faith Comes By Hearing. Randy has been an author with Harper Collins since 2000 creating and writing books and resources to inspire individuals and churches. He has written What Happens After You Die, The Heart of the Story, Think, Act Be Like Jesus, The Connecting Church 2.0, and a wonderful book with his wife, Rozanne, called Real Simplicity. More to come soon. In addition, Randy is known for the creation of 2 wildly successful Bible engagements called The Story and Believe. Brian Johnson has served the local church for the last 20 years in the roles of worship leader, teaching pastor, and what he likes to call frontier explorer. Brian and his family have supported and served the leadership teams of church plants to megachurches and everything in between. Brian is also one of the founders of the KC Underground, a network of disciples and micro-churches in the KC area. Brian and Kristen have five kids, Cash, Jude, Collier, McKelvey and Whit. Together they live as missionaries in their own neighborhood, seeking to build an extended spiritual family there. Their hope is to show as many people as possible to their place at Jesus’s table. Daren Jones is a Training Specialist with the Karyn Purvis Institute of Child Development (KP ICD) at TCU. As training specialist, Daren’s main focus is instructing professionals working with children who have experienced trauma, in Trust-Based Relational Intervention® (TBRI®). Since Daren joined the Purvis Institute in 2014, he has been an integral part of teaching and spreading TBRI® across the U.S. and throughout the world. Daren earned his Bachelor’s Degree in Social Work from the University of Arkansas at Fayetteville. He began his career as a behavior instructor of a therapeutic day treatment program serving children and youth who could no longer function in a regular academic school setting. After serving as a behavior instructor, Daren decided to obtain his Master’s in Social Work from Spalding University in Louisville, Kentucky. Daren spent 12 years serving youth and families within residential and foster care settings as a direct-care worker, residential group home supervisor and trainer, before beginning his work with the KP ICD. Daren is currently pursuing a Ph.D. in Counseling & Counselor Education at Texas Christian University in Fort Worth, TX, where he resides with his wife Katie Jones, daughter Ruby, and son Finn. Amanda Purvis is a Training Specialist with the Karyn Purvis Institute of Child Development (KP ICD) at TCU. As training specialist, Amanda’s main focus is instructing professionals working with children who have experienced trauma, in Trust-Based Relational Intervention® (TBRI®). TBRI, a holistic, attachment-based, and trauma-informed intervention designed to meet the complex needs of vulnerable children, offers practical tools for caregivers to help those in their care reach their highest potential. Amanda earned her Bachelor’s Degree in Social Work from Metropolitan State University in Denver, CO. She began her career working in Child Protective Services as an intake worker. She then transitioned to foster care and post-adoption support, where she spent a decade of her career before beginning her work with the Purvis Institute in December 2017. Amanda lives in Castle Rock, CO with her husband and five children, and their dog, Scout. Speaking nationwide at conferences, support groups, culture camps, churches, schools, and beyond, social worker Tara VanderWoude educates and challenges parents and professionals on various adoption and race-related topics. She has experienced and studied the many complexities of adoption and has had countless conversations with other adoption-competent professionals but more importantly with fellow adopted persons and their families. Tara, a Korean-born adopted person and adoptive parent, is able to look beyond her own experiences, and teaches with expertise and reality balanced with humor and grace. Ed Wiley is a comedian who weaves spot-on impressions and music into a traditional stand-up act. A native Georgian, Ed lives on a south Georgia farm with his wife, six children, eight cats, a dog, umpteen goats, two rabbits, and a healthy supply of antacids. In other words, it's a homeschool paradise. Ed blends just the right mix of stand-up, crowd work, guitar, and impressions to bring a clean, relevant show with something for everyone. His act reaches across generations and backgrounds to connect with people of all ages. Whether it's his awkward attempts to keep marital romance alive, his spot-on impressions of public figures, or riffing on the behavior of his children and goats, Ed's act is a blend of smart and zany that brings everyone on board for a hilarious ride. Todd is the lead pastor of New Life Church in Oak Grove MO, and Tiffany is an RN working for Kansas City Cardiology. They have been married for 20 years, are foster and adoptive parents, and currently have six children, two bio, 3 adopted and one who is an older youth living with them. They are passionate about seeing the local church fully engaged in the area of supporting families, foster families, and adoptive families, along with supporting aged out and homeless youth. They both work at advocating for children and families on a both local and state level. Having just celebrated 30 years of marriage, the Chaverins know the challenge of prioritizing their relationship amidst life’s demands and hard places. With a passion to see marriages thrive beyond surviving, they have developed marital strengthening tools, presented at relationship conferences, provided mentoring trainings and support, and have walked the walk of adopting and fostering. Dan is the Executive Pastor of Westside Family Church. Leslie is a retired psychologist specializing in trauma therapy . Dan and Leslie have 3 bio kids and an adopted child from China. Alicia Dentler is a wife and mother of two children; one biological and one brought to them through a relative placement. She is passionate about educating, supporting and strengthening foster, adoptive and kinship families. She is a Licensed Marriage and Family Therapist, holds an M.S. in Family Therapy from Friends University and is a trained TBRI (Trust Based Relational Interventions) Practitioner. Alicia works part-time for a child welfare agency and in private practice. She facilitates Back2Back Ministries 'Trauma Competent Caregiver' training and TBRI training. In addition, she facilitates a 9-week support group for relative caregivers called 'Caring for Our Own'. Stephanie is the mom of 5 boys, all through the gift of foster care and adoption. Her and her husband, Jeremy, have been on their journey for 10 years and have definitely experienced the joys and the many challenges of parenting children from hard places. Mrs. Shanelle Dupree graduated from Washburn University School of Law in 2007. Shanelle is married to Pastor Mark Dupree, Sr. and they have 4 beautiful and active children. Attorney Dupree primarily focused her legal career in the areas of child in need of care and high conflict family law cases, until closing her law practice in 2017. In 2014 she created a series of classes (CINC 101) which provide social and legal information for important players involved in the child welfare system. In June 2018, she launched “Foster Care & Fashion, Conversations with Attorney Shanelle Dupree.” Foster Care and Fashion produce videos and articles which serve as an ongoing conversation highlighting local organizations and people within the foster care system working to make it better. Attorney Shanelle Dupree has just been named a Regional Director with the Kansas Department of Children & Families. Sharen Ford, Ph.D., is a nationally-recognized child welfare consultant and the retired Manager for Permanency Services for the Colorado Department of Human Services in the Division of Child Welfare Services. She retires with 30 years of comprehensive work history with the department. She oversaw six programmatic areas including the Foster Care and Adoption Program and supervised a team of professional staff. Dr. Ford is the former President of the National Association of State Adoption Programs (NASAP) and the Association of Administrators for the Interstate Compact on Adoption Medical Assistance (AAICAMA). She currently serves as the Program Director for Foster Care and Adoption at Focus on the Family and is as committed as ever to raising awareness regarding the need for every child to have a permanent family. Keisha, and her husband Melvin, have 10 children, and have been foster parents for 6 years. They believe strongly that God has called them both to minister to the fatherless and change the qualities of their life by being an act of love and giving them guidance through the word of God. Keisha has been in the cosmetology industry for 16 years and owns Exquisite Hair Boutique. Joe and Kay are parents to 3 young adult men and one 10 year old daughter whom they adopted from Ethiopia. As Joe has implemented TBRIÒ principles, he has watched his daughter come to deep levels of connection and healing. He is now a play expert! Kay is a TBRIÒ practitioner and a child and family therapist. Randy and Tina Kacirek, founders and directors of ministries at Grace Haven Ministries, have been married 22 years and live in NW Arkansas with their eight children and treasure trove of pets. They have 5 children with various special needs adopted internationally from Ukraine and Armenia. They have adopted out of birth order, older medically fragile children, children with traumatic brain injury and recovering from abuse, neglect and malnutrition. Their passion is to see adoptive families thriving in rich relationships and encouraging the body of Christ to help make that happen. They are also contributing authors to Hope for the Adoption Journey: 28 Post Adoption Stories to Comfort and Encourage. Tina loves leading retreats for moms in Texas and NW Arkansas in addition to homeschooling and serving through Grace Haven. Cindy specializes in providing counseling services for children, adolescents and adults as well as crisis intervention services and substance abuse treatment. In an effort to better serve families struggling with attachment issues, Cindy completed the TCU Institute of Child Development’s professional training program of the Trust-Based Relational Intervention Model (TBRI ®) developed by Dr. Karyn Purvis and Dr. David Cross. Since her completion of the TBRI ® training, Cindy has conducted numerous trainings to clinicians as well as foster parent groups and serves as a TBRI Mentor at TBRI® trainings. In addition, Cindy is trained to administer the Adult Attachment Interview. Cindy is the Executive Director and Co-Founder of the HALO Project. HALO (Healing, Attachment, Loving Outreach) is a 10-week intensive intervention program for children in foster care and/or children who have been adopted experiencing attachment or behavioral difficulties. Due to the success of the HALO Project, Cindy was asked to collaborate with the Karyn Purvis Institute of Child Development (KP ICD) to create the TBRI Counselor’s Manual which will be available to TBRI Practitioners at the completion of the research. In collaboration with Dr. Karyn Purvis & Dr. David Cross, Cindy has published a series of children books based upon the valuable lessons on TBRI ®, including Baby Owl Lost Her Whoo, It’s Tough to Be Gentle: A Dragon’s Tale, Doggie Doesn’t Know No and others. In addition to TBRI, Cindy has received training in Trauma Focused Cognitive Behavioral Therapy (TFCBT), Parent Child Interaction Therapy (PCIT), Eye Movement Desensitization Reprocessing (EMDR), Seeking Safety, Trauma Recovery and Empowerment Model (TREM), Dialectical Behavioral Therapy (DBT), Theraplay® and Circle of Security ™. Cindy has experience treating a wide variety of issues including child abuse and neglect, trauma, anxiety, eating disorders, Obsessive Compulsive Disorder, Dissociative Identity Disorder, Reactive Attachment Disorder and addiction. Cindy graduated with honors from Arizona State University with her Masters in Social Work in 1999. Cindy is licensed by the Oklahoma State Board of Licensed Social Workers as well as the Oklahoma Board of Licensed Alcohol and Drug Counselors. Deana Lesher is the founder and owner of Pediatric Connections. She is a proud graduate of the University of Kansas with a degree in Occupational Therapy. She specializes in helping children succeed in activities of daily living in the home, school and community and is uniquely trained to help children detect, interpret, and regulate sensory information. She is the area specialist using reflex integration and sensory/motor interventions to address brainstem development as a foundation for trauma recovery. Cynthia Lewis is a child of God, wife to Adrien, mother of six and grandmother to one. She has birthed, blended, fostered and adopted. She loves a deep-dive with a friend, a hot cup coffee in a quiet house before anyone is awake and most of all Jesus, His Word, and His Church. 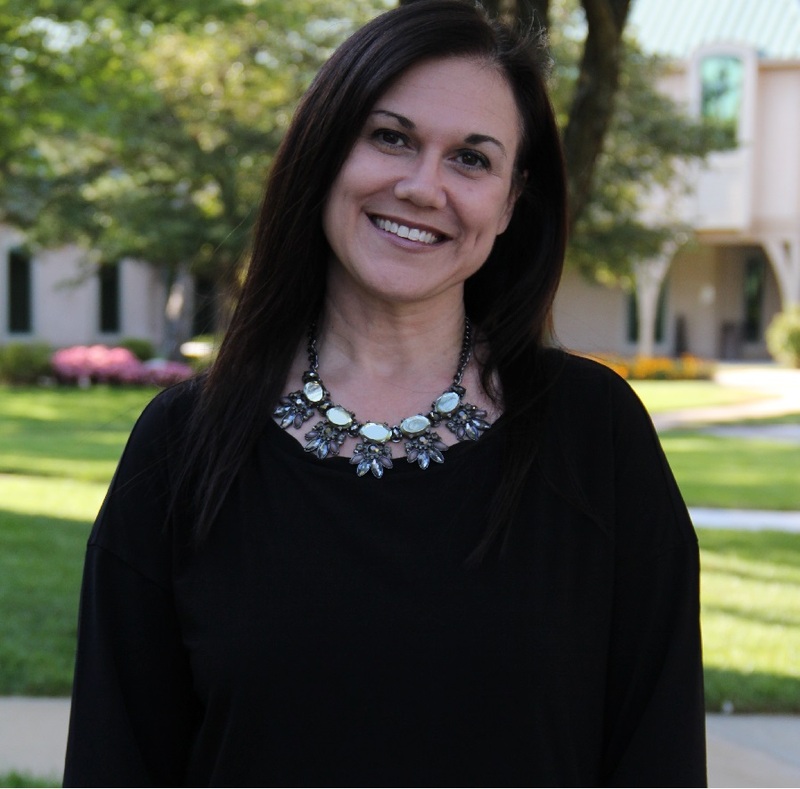 Elizabeth began her career working with troubled teens in residential, church, and community agencies, she has worked for nearly 15 years as a therapist, focusing on foster/adoptive children and families. She also works with adults, couples, and really enjoys teenagers. Her passion is helping families understand trauma and the unique ways it needs to be treated in relationships. In 2011 she launched a private practice in Leawood, KS where she continues to utilize play therapy in working with families in need. Molly has been married to Joshua for almost three years, they recently added at cat to their family named Wendy Bird. Molly enjoys being active, helping others and nourishing her creating through cooking, photography and fashion design. Katie Page is a single foster and adoptive mom originally from Alabama who has called Colorado home for the last decade. She works full-time in the construction industry managing complex healthcare, public, educational, and advanced technology projects. In 2015, she embarked on the journey to become a mom through foster care and began a blog www.woodandgrace.net where she shares the adventure along with her house renovations. In January of 2019, she was a guest blogger for LoveWhatMatters.com and to her surprise her adoptive children's miracle story spread capturing hearts worldwide. The story has been featured on Good Morning America, ABC News, People.com, The Daily Mail, The Sun Online, among others. Helen Parks is an advocate for children in foster care. Having lost her parents at a young age and spending time in foster care, she knows first-hand the value and importance of being a voice for waiting kids. She currently serves as the manager of Foster Care and Adoption for Focus on the Family and their Wait No More® program where they work to prepare hearts and homes for kids in foster care – whether for a season, or a lifetime, as well as provide post-placement resources for families. Helen earned her Master’s Degree in Public Administration and Nonprofit Management from Indiana Wesleyan University. She and her amazing dog, Bernice Mattise, live in Colorado Springs, Colorado. Jason is a Jesus follower, husband, adoptive dad, former pastor now farmer, and coffee enthusiast. He lives in Madrid NE with his wife and three kiddos. He recently moved from Kansas City to Southwest Nebraska to slow down, raise his family, and work the family farm. He loves to read, make up silly songs with his kids, and roast coffee. A former foster parent of 7 years and father of 3 adopted kids, Andrew is founding attorney behind the Children’s Law Center of Washington, a 501c3 law clinic offering free & low-cost legal services to achieve permanence for Washington State’s orphaned and vulnerable kids. Andrew and his wife Michele co-founded the Refresh Conference eight years ago. Andrew is particularly passionate about the roles of dads in foster/adoptive families. As such, he and a few friends recently started “Road Trip for Dads” in Colorado – the first ever retreat designed exclusively by & for foster adoptive dads. Matt Syverson is a Certified Financial PlannerTM Practitioner that loves to educate families on how to be the best stewards possible. He has been serving as a Financial Advisor since 2000 and helps generous, grateful families navigate all things financial in order to achieve their purpose and calling. As a an adoptive father himself, he understands how the expenses surrounding adoption and foster care can be a significant investment for any family. As the Founder and Senior Wealth Advisor at Sound Stewardship, he has developed 7 timeless principles that can create a sense of confidence and contentment for every situation.